Mariners Latest: League's Hair Tells The Story! League's Hair Tells The Story! 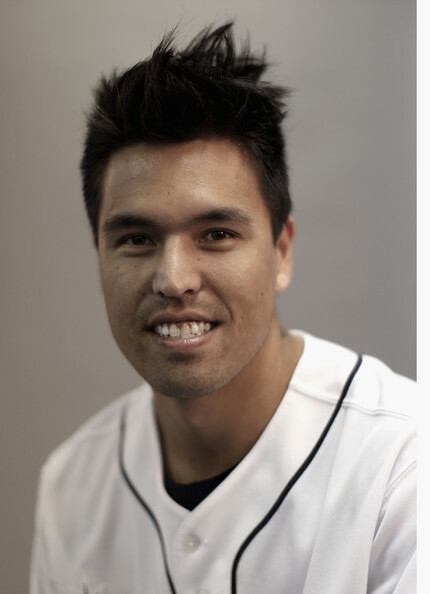 A lot has been said about Brandon League's hair and there is a lot to be said about his pitching as well. On the field, League has his hair hidden under his cap, his pitching there is not lid for. Although we may hide our eyes on every pitch that he throws due to the unknown of what may happen next. His hair is a bit wild, so is his pitching. League doesn't have the ability to locate, at all. This is in large part because there is so much movement to his pitches, but if you can't locate, it makes it a lot harder to throw strikes. His hair is often out of place. So is League. He is our closer and probably shouldn't be. A closer needs to be able to hit his spots and to this point, that is not League's game, at all. League's hair is really messy. This may be on purpose, but his 9th inning mayhem is not. In just about every close opportunity, League allows runners on, makes us all have severe stress or makes us all really, really angry like he did last night. League needs a haircut! I may be going too far in saying this, but it works for the grand scheme of things. He simply needs to go away. I don't want him to be cut, because I'm sure there is still value for him out there, but not like there was in the off season when rumors were flying. I was hoping that we would trade him, but now he's still here and with his current struggles his value has severely diminished. The Angels hit him hard and early last night in the 9th. As League gave up 3 runs before even getting 1 out and still had 2 runners on base. Absolutely horrible. One thing I notice about League is that because he is so wild, I believe a lot of players are just waiting on his fastball. Maybe he is tipping his pitches by drawing back so far in his delivery. No matter what the problems are, they need to be fixed and fixed fast. In the post game interview with Eric Wedge, Wedge stated that League was still our closer and that he is going to continue to go out there and have to fix the problem. Grrr... I don't like projects in the Major Leagues. Can't we fix him in AAA? Can't we fix him when we're down by 6 runs? Why do we have to fix him in the 9th inning? So we're going to continue to watch this struggle. With our offense and our bullpen. As we watch, we can pray that it won't be too long until we're able to compete again. There are answers out there, the real question is, are the Mariners willing to go after them? First, let's get Brandon League a haircut!